Wow I just looked thru this entire thread and all I have to say you have been doing an impressive job. 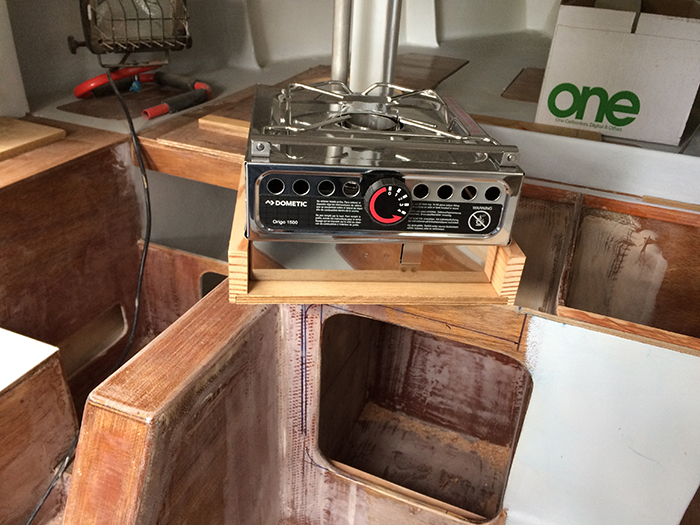 This build inspired me to build my own companion way slides and make an addition to the galley on my sailboat. Build on and keep posting pictures. Weather turned nice, but still cool. 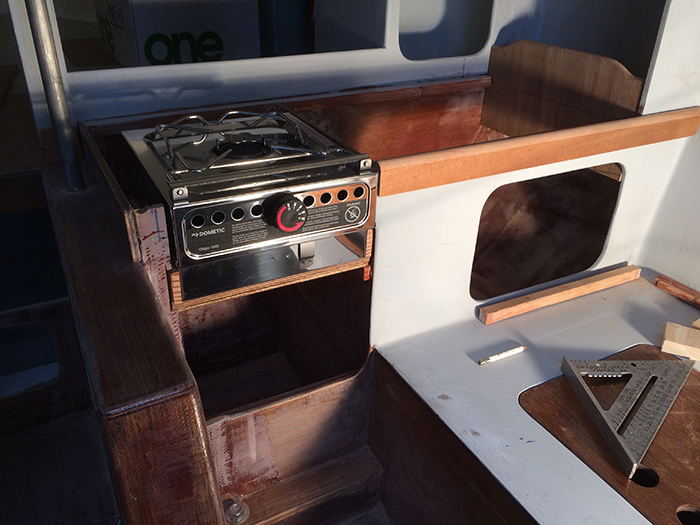 I decided to work on the galley, but should have done more homework. The alcohol stove is nice except it has changed how I wanted things to look. Its bigger than I thought it would be. I had to decide where to start cutting. One of my hardest decisions. 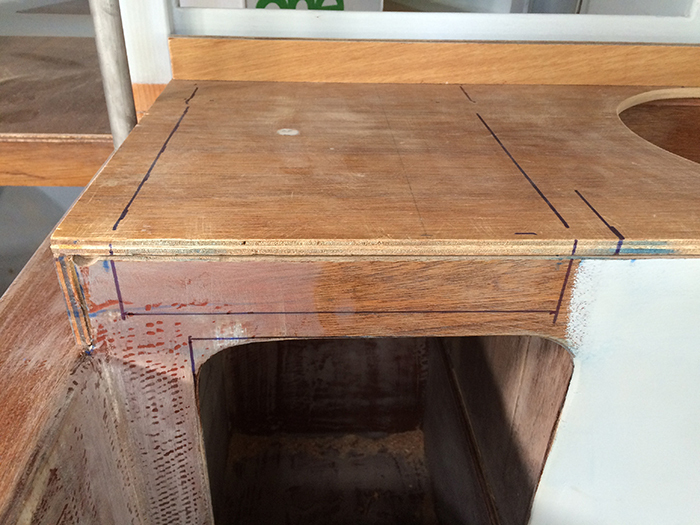 I thought I would start planning the trim before I did any serious cutting. 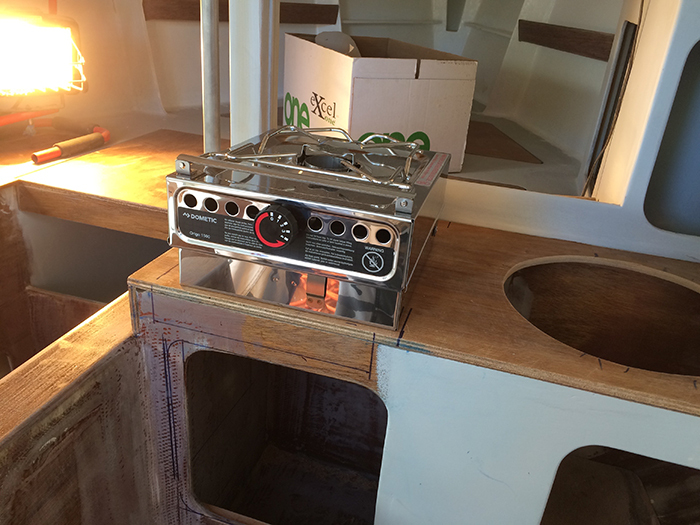 I built a type of sled to install the stove on because I found out after the fact that it is a clam style opening to install the alcohol. 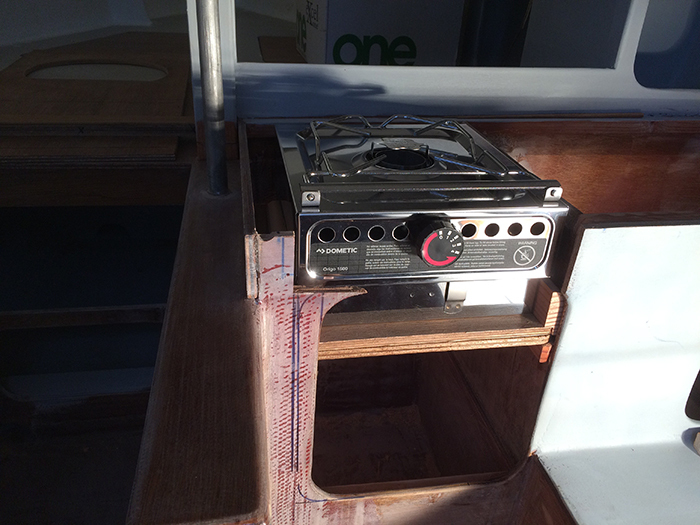 So I needed a way to slide the stove out far enough to open. 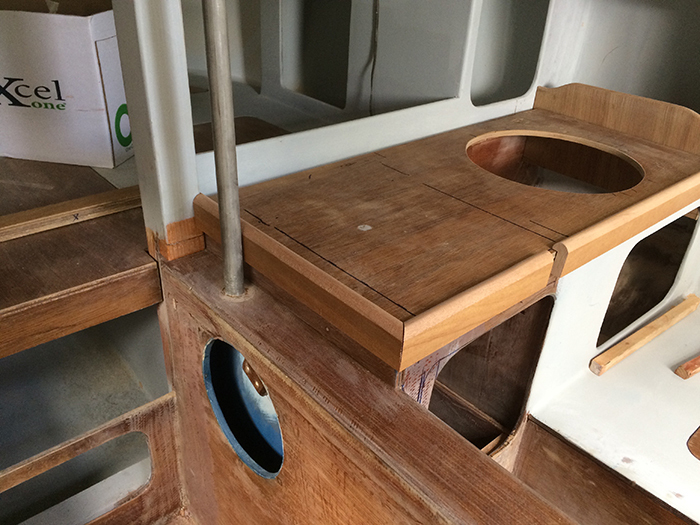 Cutting out the front of the galley hopefully will work out. Kind of planned on the fly. 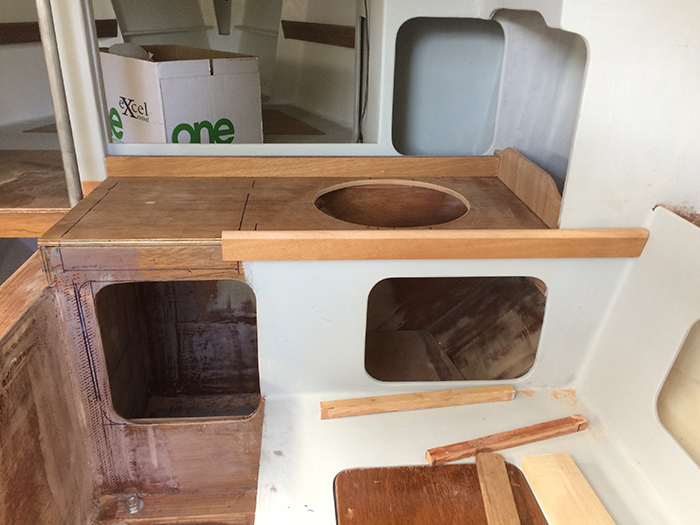 The next step will be cut the counter top to fit and some cosmetic work. Keeping my fingers crossed that I didn't make a mistake with my plan of action. Looks good to me. Keep the reports coming. Great googly moogly! Man am I jealous! Very nice, Rick. Now, Bogie, it takes a real sophisticate to be familiar with this term. A man of letters. I thought I knew the provenance, from "Stranded In the Jungle" by the Cadets, 1956. But it turns out that the phrase used in that great work was "great googah-moogah." https://www.youtube.com/watch?v=4h9PbMucPXU at 1:29. Similar, but not usable for authentication. But this exact vocalization was, so far as I could tell, performed first by Howlin' Wolf in "Goin' Down Slow" in 1961.https://www.youtube.com/watch?v=s865qLWy8-g at 2:41. Since the Cadets' rendition of this venerable exclamation predates Wolf's by five full years, it may well be argued that we should give credit to them anyway, and consider his later rendition a mispronunciation of the original. There is an educational side to this forum, I never heard of googly moogly.